On Monday, June 19, 2017, the United States Supreme Court delivered its decision in Matal v. Tam. the trademark case that asks whether a disparaging trademark can be federally registered. The Court explained that the disparagement clause violates the free speech clause of the First Amendment of the U.S. Constitution. What follows reaction to this newest Supreme Court trademark and First Amendment decision from a distinguished panel of industry experts. Probably the right legal answer, but it may become a bit of a classic “be careful what you ask for.” Just as we’re trying to “lessen the polarization and crudeness” of public discourse, I’m worried that this may have something of a negative result. Todd Dickinson is a Senior Partner at Polsinelli, LLC, in Washington, DC, and is the former Under Secretary of Commerce for IP and Director of the U.S. Patent and Trademark Office. In my opinion, the Supreme Court’s opinion is quite simple and correct. The statute is drafted very broadly. The word “persons” covers all living and juristic persons as well as institutions and beliefs. Trademarks are private speech, not government speech, which, thus, prevents any government censorship of the content of trademarks which express an opinion or viewpoint. That is viewpoint discrimination. As the Court stated: “Giving offense is a viewpoint.” Thus, the section of the statute at issue violates the First Amendment free speech clause. Susan Weller specializes in trademark, copyright, domain name, trade dress, and related areas of Internet, e-commerce, unfair competition, customs, and advertising law, as well as intellectual property administrative litigation proceedings before the US Trademark Trial and Appeal Board. This is a textual application of the law. That is: as it is written is as it must be. The First Amendment protects against government proscription of free speech. Pretty straight forward then that a trademark registration cannot be precluded by the trademark statute, where such preclusion runs afoul of the Constitution and any Amendments thereto. As a patent person, it makes one hopeful that such clear eyed Supreme Court reasoning may one day apply equally in the patent realm. 35 USC 101 anyone? John White has more than 30 years experience in all aspects of intellectual property, including patent and trademark prosecution, litigation, infringement and validity analysis and opinion writing. Mr. White has also served as an expert witness in numerous patent litigation matters. The Supreme Court’s decision struck down the section of the federal trademark law known as the Lanham Act that permits the trademark office to deny registration of trademarks that it considers disparaging. It did so on the basis of the First Amendment’s free speech clause, which prohibits the government from restricting speech based on the viewpoint or ideas expressed in the speech. This case involved the trademark THE SLANTS, which an Asian American band member sought to register for use in connection with musical performances as the name of his band. The trademark office thought the mark was disparaging to Asian Americans and refused to register it under a provision in the law that allows the trademark office to reject trademark applications it considers to be disparaging. Ironically, in this case, the trademark applicant has been using the name as a way of protesting cultural stereotypes in a form of cultural reappropriation as a way of taking epithets or derogatory terms and turning them into cultural symbols of pride, just as the term “queer” has been reappropriated by the LGBT community as a term of honor. The Court’s decision will open the door to efforts to register trademarks that – unlike “The Slants” – are intended to be disparage certain people or groups. But the decision reaffirms the protection afforded to free speech in the marketplace regardless of whether the speech is insulting or even hateful. Clay Tillack represents clients both with respect to transactional and litigation aspects of high-stakes matters. His clients include individuals, private and public organizations and real estate, restaurant and hospitality franchisors. Today’s decision held that the disparagement clause of the Lanham Act is unconstitutional because it violates the First Amendment. At its core, the decision held that the statute was unconstitutional because it discriminates on the basis of “viewpoint.” Thus, trademark examiners making determinations as to whether a mark is offensive to a substantial percentage of the members of any group is viewpoint discrimination. The inconsistency of decisions found on the Register, as noted by Tam repeatedly, is demonstrative of the fact the clause was not viewpoint neutral. It was interesting that the decision made clear that trademarks are not government speech. The government had argued that the fact the government issued registrations by the US Trademark Office with a government seal made the issuance of a registration a form of government speech. To avoid a slippery slope, the Supreme Court was clear that private speech cannot be converted to government speech simply by a seal of approval. To hold otherwise would have opened up many issues, including the potential conversion of registered copyrighted works to government speech. The Trademark Office had suspended all marks subject to a disparagement refusal during the pendency of the Supreme Court case. It is likely the suspension will be withdrawn and these marks will be allowed to proceed. As for previously refused marks, now would be the time for those owners to reconsider filing new applications in light of the decision today. However, it is important to note that the decision only impacts the disparagement portion of the statue. Based on the wording of the decision, marks can still be refused for being immoral, scandalous, or for falsely suggesting a connection with persons, institutions, beliefs or national symbols, or bring them into contempt or disrepute. April Besl is a partner in the Intellectual Property Department at Dinsmore & Shohl LLP and practices within the Trademarks, Licensing & Enforcement, and Entertainment Law practice groups. She focuses her practice on counseling clients with respect to non-patent intellectual property including trademarks, copyrights, social media, Internet law, advertising and trade secrets. Although this case was decided 8-0 (Justice Gorsuch did not participate), the concurring opinions by Justice Kennedy (with whom 3 Justices joined) and Justice Thomas showcase different rationales and reflect the hotbed of dispute underlying this case. The “disparagement clause” of the Lanham Act denied federal legal protection to a broad class of trademarks, based merely on the highly subjective determination by federal bureaucrats that the marks in question “disparaged” particular individuals or institutions. This denial undermined private parties’ incentives to invest in “disparaging” marks, and to compete vigorously by signaling to consumers the existence of novel products and services that they might find appealing. By “constitutionally expunging” the disparagement clause as violative of the First Amendment, the Supreme Court, in its June 19 Matal v. Tam decision, opened the gateway to more robust competition by spurring the vigorous investment in and promotion of a larger number of marks. Consumers in the marketplace, not bureaucrats, will decide whether the product or services identified by particular marks are “problematic” and therefore not worthy of patronage. In other words, by enhancing legal protection for a wider variety of trademarks, the Tam holding has paved the way for the expansion of mutually-beneficial marketplace transactions, to the benefit of consumers and producers alike. In short, by promoting a vigorous First Amendment marketplace of ideas, the Tam Court also gave a shot in the arm to welfare-enhancing competition in markets for goods and services. It took almost the entire term for it to happen, but the Supreme Court finally sided with the Federal Circuit on a major issue. The decision reinforces basic principles of First Amendment law: the government should not be choosing which viewpoints it will support. Individuals can now register disparaging, and likely scandalous and immoral trademarks. I expect a land rush on the Trademark Office to collect the most four letter registrations. Eric Ball focuses his practice on trademark litigation and Trademark Trial and Appeal Board disputes. He also has substantial experience in trade secret, copyright and complex commercial litigation matters. Today’s decision, while not surprising, is momentous, as any decision striking a longstanding legislative provision based on freedom of speech would be. From a trademark practitioner’s perspective, Matal v. Tam is also remarkable in that it is the second decision in just over two years in which the Supreme Court specifically has taken note of the importance and value of trademark registration. The decision has drawn additional attention as it undoubtedly marks the end of Pro-Football, Inc. (“PFI”)’s longstanding battle over its REDSKINS marks, as 2(a) will no longer bar registration of those marks either. I have little doubt that in the weeks and months to come, we will see many new filings that will be more challenging to celebrate than Simon Tam’s hard-won victory. Lauren Emerson is an attorney with Baker Botts. Her practice focuses on trademark, trade dress, copyright, advertising, unfair competition and related issues. Ms. Emerson drafted the amicus brief to the Supreme Court in Star Athletica that was filed on behalf of the NYIPLA. She is co-chair of the NYIPLA copyright committee. For years, the USPTO inconsistently invoked the disparagement clause of the Lanham Act to deny registration to marks which were considered disparaging. The USPTO itself even acknowledged that the determination of whether a mark is disparaging is vague and highly subjective. This case highlighted the difficulty as the Simon Tam, an Asian-American musician, told the USPTO his use of THE SLANTS was empowering and yet the USPTO still denied the registration of his mark as disparaging. This decision will free the USPTO from its impossible burden and bring some consistency to the examination process. In pop culture terms, everyone will remember this as the case that paved the way for the Redskins to keep their trademark registrations. Luke DeMarte focuses his practice on trademark, copyright, and entertainment law. He counsels clients in a variety of industries, including retail, sports and sporting goods, beverage alcohol, consumer products, and financial services. The headline will be “Free speech trumps the Lanham Act,” and today’s decision is an important victory for advocates of free speech. But the biggest winner in today’s decision will be the Washington Redskins, and the victory has nothing to do with football. While not a party to the case, the law at issue was central to the Redskins’ ongoing trademark battle over registration of their name and logo, which many consider to be offensive to Native Americans. This will mark a significant turning point in the Redskins’ favor and should lead to future victories for them in the US PTO and in court. In striking down the Disparagement Clause, the Supreme Court today held that government speech is not subject to the same restrictions as private speech and that there is no requirement that it be viewpoint-neutral as this would have dangerous implications for both the effectiveness of government speech and its ability to restrict dissenting voices. In terms of this case, to claim that trademarks are government speech would cause the government to be responsible for a wide variety of views that are often inconsistent, questionable, and contradictory. In an important concurring opinion, Justice Kennedy stated: “it is a fundamental principle of the First Amendment that the government may not punish or suppress speech based on disapproval of the ideas or perspectives the speech conveys. To permit viewpoint discrimination in this context is to permit Government censorship. A law that can be directed against speech found offensive to some portion of the public can be turned against minority and dissenting views to the detriment of all. The First Amendment does not entrust that power to the government’s benevolence. Instead, our reliance must be on the substantial safeguards of free and open discussion in a democratic society.” For advocates of free speech, these are bedrock principles and they carried the day in today’s Supreme Court decision. Jed Ferdinand is founder and senior managing partner at Ferdinand IP. An accomplished trial attorney, with more than 20 years of experience, Ferdinand is an authority on intellectual property, licensing, media, entertainment and civil litigation. Today the Supreme Court gave Simon Tam a win in ruling that Section 1052(a) of the Lanham Act (the Disparagement Clause) is an unconstitutional bar to the First Amendment right of free expression. The big winner, however, is the NFL’s Washington Redskins, as the tool that was used to invalidate the team’s trademark in 2014 has now been eliminated. It is likely that the Washington Redskins trademarks that were cancelled in 2014 will be reinstated. Look out for an immediate influx of applications to register trademarks that were previously considered to be scandalous or disparaging, not unlike the domain name registration gold rush of the mid-nineties. In footnotes of the opinion, the Court leaves open the questions of: (a) whether or not analyzing it as a kind of government program in which some content- and speaker-based restrictions are permitted; and (b)whether analysis underCentral Hudson Gas & Elec. Corp. v. Public Serv. Comm’n of N.Y. , are appropriate tests for deciding free speech challenges to provisions of the Lanham Act. This suggests that the Court does not expect the ruling to implicate other provisions of the Lanham Act, and it may suggest that Congress could come up with an alternative to Section 1025(a) that could withstand Constitutional scrutiny. Lawrence Robins practice focuses on the litigation of trademark, copyright, unfair competition, advertising, and related disputes; strategic trademark portfolio development, management, and protection; and counseling on the use and protection of copyrighted works. The decision will impact individuals or businesses seeking federal trademark registration over controversial brand names, and is seen as encouraging to entities such as the Washington Redskins NFL franchise, which had six of its trademarks cancelled by the Trademark Trials and Appeals Board of the U.S. PTO in 2014, in response to objections raised by Native American groups. Today’s decision is being lauded as a victory by free speech advocates on both ends of the political spectrum. Jim Sawtelle is a trial attorney who leads the Firm’s Intellectual Property Practice Group. His clients range from individuals, small businesses, and other law firms, to Fortune 500 companies. In this closely-watched case, SCOTUS ruled today that the “disparagement” provision in Section 2 of the Lanham Act violates First Amendment free-speech rights. This clause had been used by the USPTO as a legal basis to deny registrations of offensive trademarks that disparaged racial and ethnic groups, among others. This provision was the central basis used by the USPTO to cancel the “Washington Redskins” federal trademark registration, a dispute also pending in the federal Court of Appeals and on hold while awaiting the outcome of the Matal v. Tam decision by the Court. Finding that federally registered trademarks are not “government speech” capable of being regulated or censored, but instead expressions of First Amendment protected private speech, the Court held that the Lanham Act cannot be used to restrict or prevent registration of what the government finds offensive or disparaging. It remains to be seen what the USPTO will do going forward to account for the Court’s ruling on this issue, but it seems clear that the Washington Redskins’ case challenging the cancellation of its registrations became much stronger today. In the end, it may well be that the marketplace will be the place for rejection of trademarks that offend various groups, rather than the USPTO acting as gatekeeper to prevent registration of offensive or disparaging brands or slogans. Brian LaCorte’s focuses on patent litigation before federal district courts throughout the United States, and before the U.S. Court of Appeals for the Federal Circuit. A seasoned intellectual property litigator, Mr. LaCorte practices before administrative tribunals such as the U.S. International Trade Commission, the Patent Trial and Appeal Board, and the Trademark Trial and Appeal Board. The decision has an immediate impact on closely watched efforts to cancel the federal trademark registrations for the NFL’s Washington Redskins. With this decision, those longstanding registrations will stay in place. Although the decision is focused on the Lanham Act’s disparagement clause, the decision will also likely signal the end of the Lanham Act’s prohibition against registration of marks that “consist of . . . immoral . . . or scandalous matter.” The Court’s free speech analysis would appear to apply broadly to this longstanding prohibition as well. The net result is that the Trademark Office will likely soon be faced with a host of offensive and profane trademark applications, as applicants attempt to take advantage of this change in longstanding trademark law. The Trademark Official Gazette may soon require a parental advisory on the cover. Whether applicants will ultimately be able to demonstrate use of these marks in commerce is a different issue. Even if the Trademark Office can no longer reject trademarks merely because they disparage others, trademarks may not be registered unless they are actually used in commerce. Ultimately, the role for disparaging or offensive trademarks in the marketplace will be decided by the consuming public, and the holders of such marks may soon discover that disparaging or offensive marks have little, if any, commercial value. Throughout his 20 year legal career, Chris has helped his clients protect their intellectual property rights. Chris tries complex patent, trademark, copyright, trade secret, and licensing cases. He represents both plaintiffs and defendants in courts throughout the country, and in both national and international arbitration. In holding that the “disparagement clause” of the Lanham Act is unconstitutional, the Supreme Court sent a strong message that the government may not be a censor. The band, The Slants, are not the only ones cheering, this ruling is also a likely victory for the Washington Redskins as they fight to keep their name. Although the Washington Redskins’ fight to regain their trademarks seems to be receiving most of the attention, The Slants’ big win in the Supreme Court has far greater judicial significance signaling the Court’s view on the strength of the free speech clause and its reluctance to allow government censorship. This may have an impact well beyond the four corners of the USPTO. Brooke Erdos Singer represents numerous multinational and national advertising and marketing agencies, as well as fashion, beauty, entertainment and media companies in connection with trademark, copyright, advertising and corporate intellectual property matters. Today the Supreme Court affirmed the Court of Appeals for the Federal Circuit and held that trademarks are private speech subject to the Free Speech Clause of the First Amendment, and as such they cannot be denied Federal registration or be cancelled from the Federal Register merely because they offend. Rather, such trademarks, if they otherwise qualify, are entitled to the substantial benefits of Federal trademark registration. Mr. Tam will thus be able to federally register “The Slants” and the Washington Redskins football team should retain their federal trademark registrations. Douglas Sharrott is Chair of the firm’s Medical Devices and Telecommunications & Networks Industry Groups. Doug both litigates and prosecutes patents, with extensive experience in the electrical and mechanical arts. Maybe for the IPR battle to come, the interesting part is that the Lanham act was interpreted in terms of common law preceding the Lanham act. If patents are treated the same way in the sense that the patents granted by the AIA are the same patents referenced in the Constitution, then maybe there is hope. 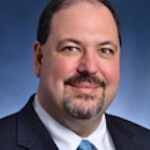 Anyone else notice that Charles R. Macedo from Amster, Rothstein & Ebenstein is a Gene Quinn look-alike ? The case is interesting as a matter of constitutional and trademark law, but I think it might have implication for patent law as well. Of central significance to the outcome was the Court’s holding that a trademark is private speech and not government speech. Consider how this might affect the Court’s thinking in Oil States Energy Services v. Greene’s Energy Group in which the Court will decide if the IPR process is unconstitutional. The case will likely turn on whether the Court decides that a patent is a private right or a public right. Oil States will argue that it’s a private right and that validity can only be determined by a Federal Court under Art. III of the Constitution. However, Green’s and the Patent Office will argue that a patent is a public right and that Art. III does not bar an administrative determination of validity by the Patent Trial and Appeal Board in an IPR. If a trademark is private speech, it’s by definition, I think, a private right. And if so, might a patent also be a private right? I strongly suspect that Oil States will make this argument in its brief and will rely on Tam for support. I think the argument is a pretty good one. It might be a good idea to start a discussion with a common agreement on what exactly that term means. Public rights: rights enjoyed by persons as members of the public, as distinct from private rights attached to the personality of the individual or deriving from property owned by him. Public rights may derive from the common law (such as the right of members of the public to pass and repass along the highway) or from statute. In either case, the remedy for infringement is by indictment or in relator action for injunction. Greg DeLassus has been a vocal proponent that an item can be “a little bit pregnant” and be both private property and yet still have aspects that are public rights. Of course, he offers these views more based on feelings than any legal definition, so take his views with more than just a little grain of salt. The legal definition provided above would draw a rather sharp distinction between what is private and what is public (especially as regards property, which patents are per the direct words of Congress). Lawrence, I would not be so sanguine that simply saying that patents are private rights is going to solve the problem because the Supreme Court in Crowell v. Benson held that the adjudication of “newly created” private rights may be assigned to a regulatory tribunal – subject to de novo review with respect to constitutional jurisdiction. In other words, simply insisting that patents are property is not a valid constitutional argument. Under controlling case law that stems back to Murray’s Lessee, rights and remedies litigated in the courts of England prior to 1789 are not public rights. So the question really is whether patent validity was litigated in the courts of England prior to 1789. The answer to this question seems obvious. You should know that the Federal Circuit has been heavy lifting in favor of re-examinations and IPRs for some time, and virtually ignoring, if not worse, controlling Supreme Court case law. For example, McCormick Harvesting held that cancellation of a claim after reexamination against the will of the patent owner was an unconstitutional invasion of the judiciary. The Federal Circuit considered this case twice, once in Patlex and a second time in MCM Portfolio LLC. In both cases, the Federal Circuit did no constitutional analysis but simply said that the problem with McCormick Harvesting was a lack of statutory authority – as if Congress had the power to invade the judicial branch, but not the executive. In MCM, the Federal Circuit totally ignored our arguments that actions to revoke patents could not be public rights because such actions were known at common law. To even acknowledge our argument, the Federal Circuit would have had the rule in our favor. Thus they ignored it. Think about this. Because patent validity was uniformly litigated in the common law courts and to juries prior to 1792, actions to revoke patents have a Seventh Amendment right to a jury trial. But the Federal Circuit has twice now ruled that even though patent owners have such Seventh Amendment rights, Congress may assign to the PTO the final adjudication of patent validity. There is a cardinal rule constitutional law that Congress cannot abrogate constitutional rights. But that is exactly what they did when assigning patent validity to the PTO. Perhaps instead of looking at the earlier comments as a “complete package,” it may be more beneficial to the look at them as components that may dovetail into a more full argument. For example, my post at 4 certainly does not touch upon the detailed historical notions, but nonetheless may well be added for the impact that it does bring. Far too many times across the blogosphere the notion of “public rights” is thrown out into conversations without having any tether to the legal meaning of that term. When one takes a more critical view of just what that term means, its very use in the patent discussions becomes much more problematic. Those wanting to apply a mere aspect of “public rights” without recognizing ALL of what must come along for an item to be truly considered a public right are – and should be in for a shock as to how poorly the concept really does fit patents. The present case does not fall within the categories just described but is one of private right, that is, of the liability of one individual to another under the law as defined. But in cases of that sort, there is no requirement that, in order to maintain the essential attributes of the judicial power, all determinations of fact in constitutional courts shall be made by judges. On the common law side of the Federal courts, the aid of juries is not only deemed appropriate but is required by the Constitution itself. In cases of equity and admiralty, it is historic practice to call to the assistance of the courts, without the consent of the parties, masters and commissioners or assessors, to pass upon certain classes of questions, as, for example, to take and state an account or to find the amount of damages. While the reports of masters and commissioners in such cases are essentially of an advisory nature, it has not been the practice to disturb their findings when they are properly based upon evidence, in the absence of errors of law, 52*52 and the parties have no right to demand that the court shall redetermine the facts thus found. In the end, the court endorsed the administrative findings of fact as I discussed before despite the right being private. To the contrary, the cases you cite do NOT establish a good meaning of the term. You are too close to the trees to see the forest. First take a step back and determine the overall meaning of the term and then – and only then – look to ho w the term is being applied in context.